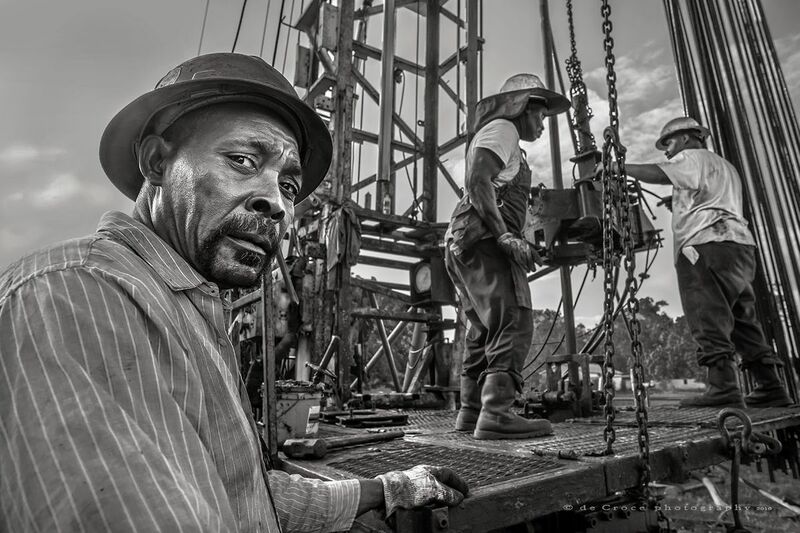 This portfolio is comprised of oil and gas roughnecks portrait and action shots. Although many of the of the images are portraits, none of these photographs of energy workers were posed. Colorado energy photographer DeCroce travels to Texas, Pennsylvania, West Virginia and other western locals to capture exciting oil and gas photography. 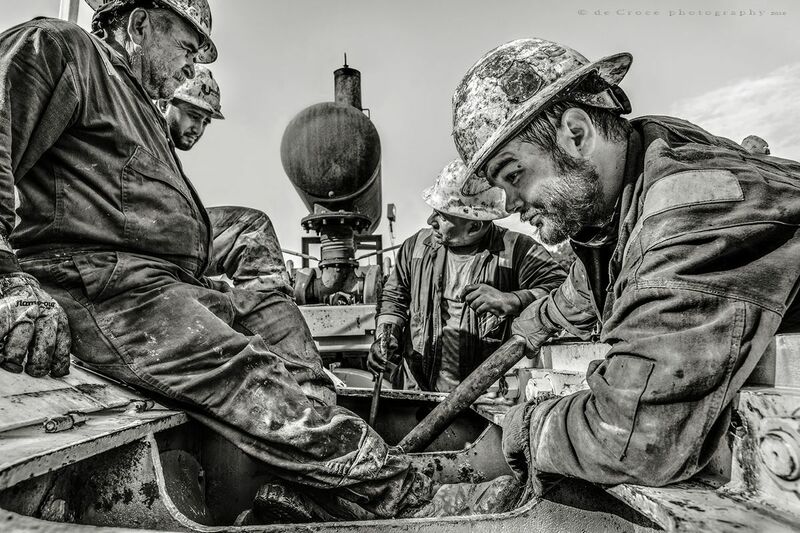 A roughneck's hand in glove grasp drilling pipe in this oil & gas photography image.